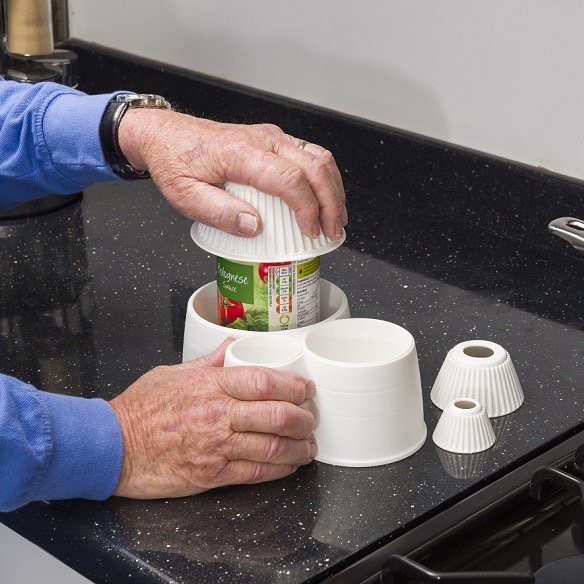 The Spill Not is a great little device that prevents spillage when opening jars and bottles and is ideal for those people with limited grip or the use of just one hand. It features three inverted rubber cones that provide a firm and steady grip when holding onto pill bottles and jars. There are rubber feet that stop the Spill Not from moving and it can either be permanently fixed or stored safely away. The Spill Not will take a variety of sizes including child proof containers from 25mm to 100mm.